Obituary for Robert Earl Bauer | Wellman Funeral Homes, Inc.
Robert E. Bauer, 94, of Circleville passed away on November 28, 2018. He was born on September 4, 1924 in Spokane Washington to Pearl D. Bauer. Robert spent his childhood in Portsmouth. 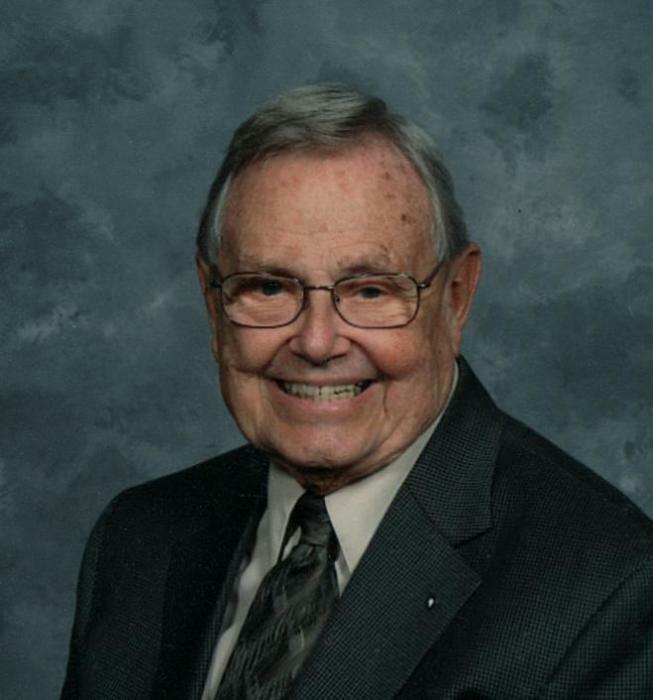 He was a WWII Navy Veteran, retired from US Small Business Administration, was a member of Heritage Nazarene Church and Pickaway County Camp Gideons International and served as Past State President. In addition to his mother he was preceded in death by his first wife Rebecca Joanna (Lemaster) Bauer and by his second wife Janice (Singleton) Bauer. Robert is survived by his daughter Cindy (Mike) Reagan, grandchildren Andy Reagan, Jessica (Ben) Robison, Tyler (Katie) Reagan and by great grandchildren Cara, Abby and Eliza. Funeral services will be held on Monday, December 3, 2018 at 10:00 a.m. at the Wellman Funeral Home, Circleville. Graveside services will be held at 2:00 p.m. at Memorial Burial Park in Wheelersburg, Ohio. Friends may call at the funeral home on Sunday from 1-3 p.m. Memorial contributions are suggested to Gideons International, P.O. Box 403, Circleville, Ohio 43113 or to Alzheimer’s Association Central Ohio Chapter, 1379 Dublin Road, Columbus, Ohio 43215. Online condolences can be made to www.wellmanfuneralhomes.com.